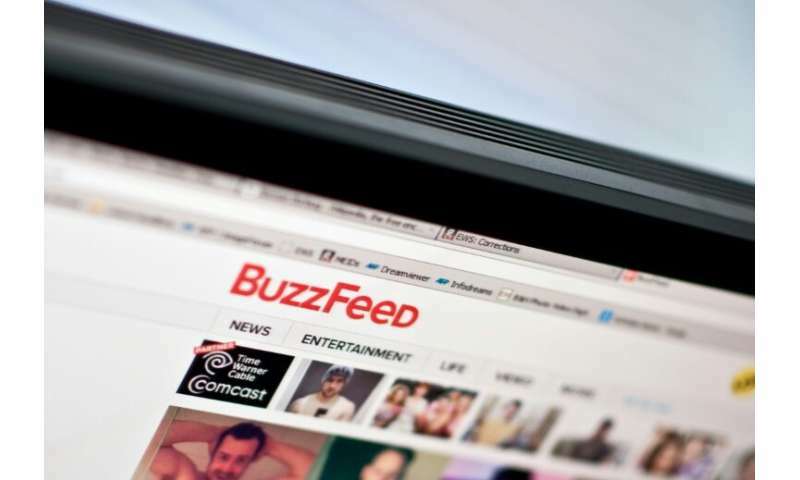 BuzzFeed, one of the highest profile entertainment and news sites on the internet, plans to cut 15 percent of its workforce, US media reports said Wednesday. "I'm writing with sad news: we are doing layoffs at BuzzFeed next week. We will be making a 15% overall reduction in headcount across the company. I'm sending this tonight because I wanted you to hear it from me directly instead of from the press." The other was to avoid another round of fundraising. BuzzFeed raised around $500 million in the last round in 2016 and was valued at $1.7 billion, with its main investors including Comcast's NBCUniversal which has invested $400 million. BuzzFeed launched in 2006 and was long primarily known for its humorous content and memes. Later, it launched a news unit that, despite being a financial drag on the company, has built a strong reputation and was a finalist for a Pulitzer prize last year. BuzzFeed News found itself at the center of a controversy last week after it reported President Donald Trump instructed his lawyer to lie to Congress about plans to build a Trump Tower in Moscow—a story that was struck down by the office of Special Counsel Robert Mueller who said it was "not accurate."